TransCanada is suing the U.S. government for more than $15 billion in losses and damages for denying the Canadian company’s permit to build the Keystone XL Pipeline. The U.S. State Department denied the permit in November, saying that the proposed $8 billion pipeline would undermine U.S. global leadership on climate change. Keystone XL would have transported more than 800,000 barrels of crude oil each day from the Canadian tar sands in Alberta to oil refineries in Texas. President Obama said in November that Keystone XL would not make a meaningful long-term contribution to the U.S. economy, nor would it increase U.S. energy security or help to lower gasoline prices. Some crude oil must be left in the ground in order for the U.S. to meet its climate goals, he said. The company was required to obtain a presidential permit to build Keystone XL because the proposed 1,179-mile pipeline would have crossed the international border to reach Texas refineries from Canada. The production of the Canadian tar sands crude oil that Keystone XL would have tapped releases 17 percent more carbon dioxide into atmosphere than the average barrel of crude oil produced elsewhere, according to the State Department’s analysis of the project. The analysis concluded that the oil the pipeline would carry could lead to between 1 million and 27 million tons of carbon dioxide emissions annually above less polluting kinds of crude oil. 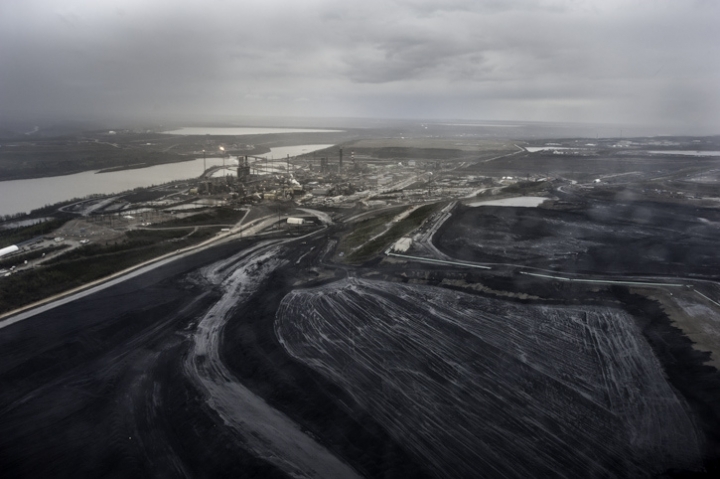 Climate scientists warned that developing the tar sands would open up a vast reservoir of carbon to be released into the atmosphere, making it all the more difficult to keep global warming to 2°C (3.6°F).